Free Talk by My Rad Nutrition Coach this Thursday! So it's almost 6 weeks now* on this all-organic, gluten-free, dairy-free, sugar-free** food plan, and I'm loving it! Lost 10 lbs, much less puffy-looking in general (you know the feeling), good energy. Woot! My nutrition coach is speaking again this Thursday (and serving her delicious food) in Columbia, SC. 'Tis free, so check it out! The Food WisdomRx program teaches food structures you can use to reach your personal health goals. These are college-level courses in food & cooking! 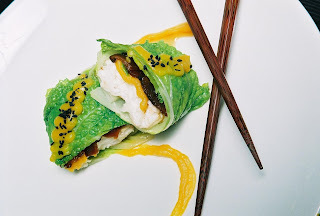 We combine evidence-based, organic ingredients with traditional gourmet and macrobiotic cooking techniques to produce the healthiest and tastiest outcomes for you. Food WisdomRx is not a diet… Food WisdomRx is a lifestyle. - What is Gluten Free? Why is this important to you? - What do you eat to lose weight? - What foods reduce cholesterol quickly? - What foods help kill cancer? - Sample nutritious whole foods, and discover the latest gluten-free foods available in local grocery stores. - Speak with local Food Wisdom participants who have won their challenge with cancer; lost weight; lowered their blood pressure; reduced insulin levels; and eliminated acid reflux. We anticipate a large audience. Please reserve your space today so that we can be sure to bring plenty of food to sample!! *I cheat once in a while, yes. My brother and I toasted our dearly departed mother on Friday night (the 1-year anniversary) with some sustainably raised N.Y. strip steaks, grilled scallops, and fried risotto balls at Rosso, one of Columbia's best new restaurants gotta say. They were all FANTASTIC. 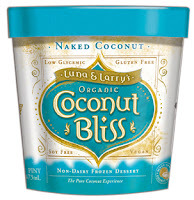 **OMG I am in love with Luna and Larry's Coconut Bliss ice cream. It is totally non-dairy, no soy, no gluten, very few ingredients, all-natural, sweetened with blue agave nectar (the low-glycemic, awesome alternative to sugar), and holy lord it is freaking delicious. JFYI. And if you put it back in the fridge instead of the freezer like I did the other day (doh! ), it doesn't get soupy. It maintains structural integrity and is like the loftiest fro yo ever or some such. Refreezes just fine too. IT IS A HIPPIE HEALTH FOOD MIRACLE!